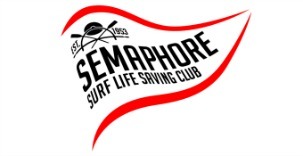 Renew your membership at Semaphore SLSC online. Renew online, click the renew online button now. • FAMILY GROUPS – a family member over 18 years can create a Family Group that will enable them to manage and renew all family members at once and eliminate the need to have individual Portal accounts for each family member. To access Family Groups in the Portal select the Lifesaving Online tab and select My Family from the sub-menu. NOTE: membership renewal via the Members Portal requires submission of a renewal form, payment and any other club requirements (eg Proof of Age, Member Protection info) for EVERY individual member being renewed. Any queries relating to your membership application or change of details should be made directly to the Club or support organisation, whose details can be found in the SLSA Club Directory. The Supporter Membership is for those people who want to support the club and get access to member discounts. The Supporter Member has no voting rights. Junior rate applies to a full time student under 21 living at home including SRC holders. Only Junior members holding an SRC have voting rights. Each competing member must pay a $70 competition levy. Full time student under 21 living at home. The Social Membership is for those people who want a real stake in the club through their voting rights. Social Membership gives you access to the club discounts. Senior Membership is for the active member that will be patrolling and/or providing water cover and/or competing and/or generally being awesome. Senior members have full voting rights. Family Membership provides membership for 2 Seniors and unlimited dependents living at the same residential address. Each Senior Member and SRC holding Junior has voting rights. Online registrations are easy. Use these resources to help. Click the Youtube icon or the title above or click the play button below to see video instructions on how to re-register and update your details online. Login to your account or retrieve your login details then update your information. Fill in meaningful details, itemised as needed and see the price list if required. Add credit card details and confirm. Once confirmed, you will receive a receipt via your email. Avoid the queues and re-register online now.